We study immunological ecology, symbiotic microbiota, and conservation medicine. 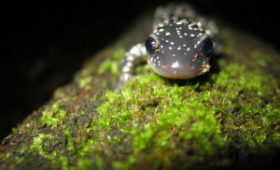 Our goal is to advance probiotic strategies to mitigate the effects of chytridiomycosis on wild amphibian populations, and to reduce the risk of arbovirus transmission by mosquitoes. Development of novel biotherapies to stabilize beneficial microbial communities is one application linking ecology to public health. Fieldwork ranges from locally in Massachusetts to tropical rainforests. 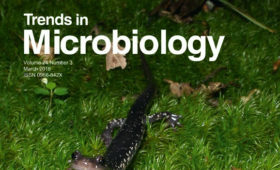 While ecologically focused, research methods in the Woodhams lab incorporate immunological chemistry and mass spectrometry, next-generation sequencing and bioinformatics analysis of microbial diversity and community function. We maintain a microbial culture collection and database of antifungal isolates, a biosecure insectary for mosquito experiments, an outdoor mesocosm array, and a flow-through aquatics facility for amphibians. We believe in sharing the values of collaboration, ecological ethics, and education, and are united on a path toward innovation best achieved by celebrating diversity of culture and thought. I enjoy facilitating my students’ research and collaborating with them on the design and progress of their work.